The jury meet was chaired by Padma Shri Dr. Pritam Singh, Former Director, IIM Lucknow, MDI Gurgaon. The jury meet of Media & Media Education Summit was held in New Delhi on 17th November. 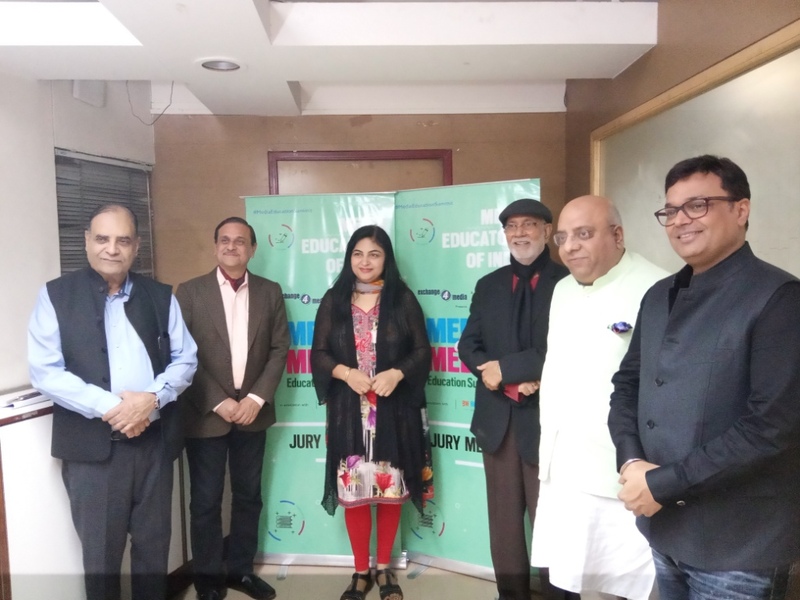 The jury members included: Padma Shri Dr. Pritam Singh, Former Director, IIM Lucknow, MDI Gurgaon, Dr. Surbhi Dahiya, Course Director & Associate Professor English Journalism, IIMC, Avinash Pandey, COO, ABP Network, Dr. Annurag Batra, Chairman and Editor-in-Chief, BW Businessworld and exchange4media Group, Alok Mehta, Former President, Editors Guild of India and Sajal Mukerjee, Director Apeejay Institute of Mass Communication. The Media & Media Education Summit has received overwhelming response in its first year. The jury received over 100 across categories like-- Prof. KM Shrivastav Award, Lifetime Achievement Award (Male), Lifetime Achievement Award (Female), Contribution to Media Education, Visionary Leader in Media Education, Best Media Educator (Professor), Best Media Educator (Associate Professor) and Best Media Educator (Assistant Professor). The Media & Media Education Summit will be held on 22nd November in India International Centre, New Delhi.